Getting ready for some Pennsylvania jeeping? 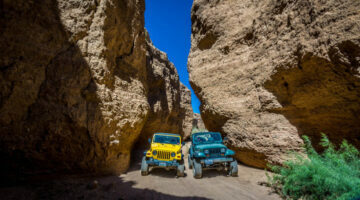 Jeep owners share their best tips for renting a Jeep in Pennsylvania, enjoying Pennsylvania Jeep tours, and finding the best places to Jeep offroad in Pennsylvania. The red Jeep Wrangler, a 1978 CJ6, that Tim and Faith borrowed and drove a few times when they were dating was later found by Faith and then given to him as a gift — years after they were married. Today, that very same Jeep is playing a role on Tim & Faith’s Soul2Soul tour.